Interesting profile of Meredith Whitney in latest issue of Bloomberg Businessweek showing the power of recognition. So with all her success, in 2008 Fortune magazine put her on the cover and wrote a feature about her. The following year Whitney would quit her job and start her own company. 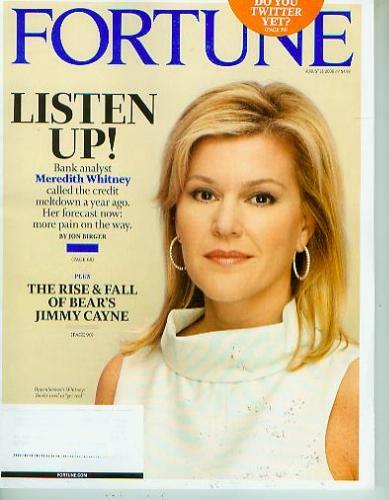 Today she is CEO of Meredith Whitney Advisory Group. Never underestimate the power of recognition. Even CEOs want a pizza party now and then. *** Don’t forget, Kevin Kruse’s new book, Employee Engagement for Everyone: 4 Keys to Happiness and Fulfillment at Work is FREE for Kindle until June 28, 2013.